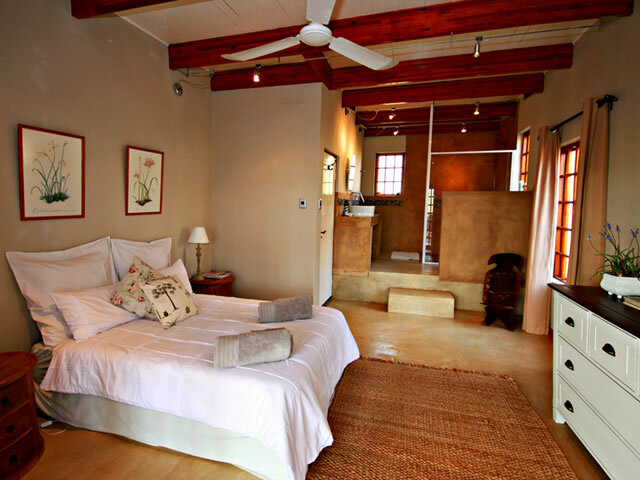 Ambleside Cottage is situated on the banks of the Little Tugela River, which rises at the head of the Injasuti Valley on top of the Drakensberg Mountains. 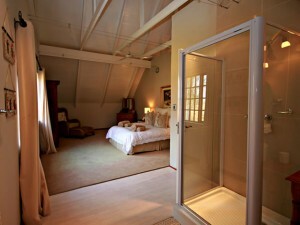 The Cottage is a double volume building with open plan kitchen and lounge. 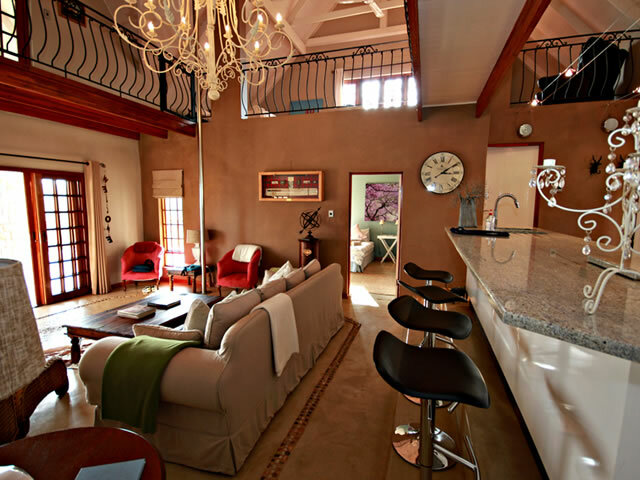 It is a four bedroom unit with two bedrooms upstairs with en-suite shower room and twin beds in loft area, two bedrooms down stairs one with an en-suite wet room, the other with an adjacent bathroom (linen and towels provided) which are serviced daily. 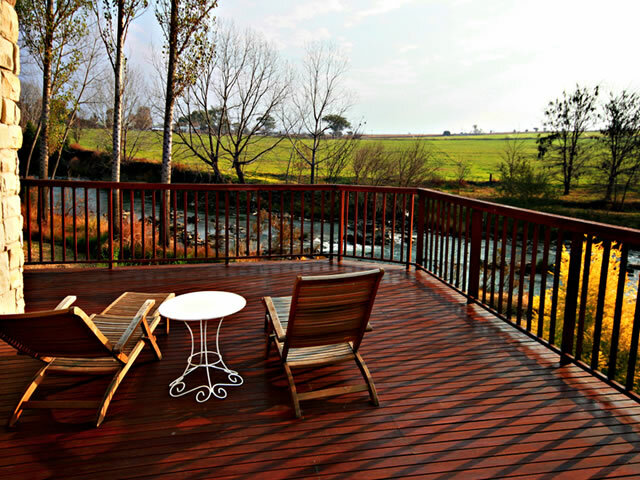 There is a large wooden deck (80M²) looking up the river towards the Drakensberg Mountains which is ideal for entertaining, braaing or having sun-downers on a balmy summer evening. The covered area of the deck leads through french doors into the open plan lounge with a wood burning fire place for those colder winter nights. 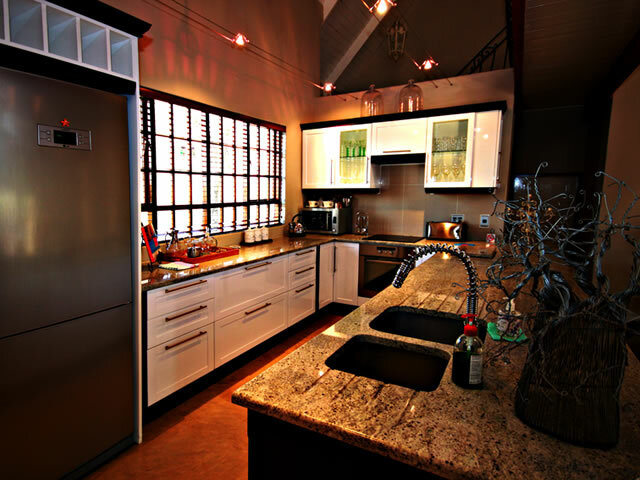 This space is perfect for dining and has water & wind proof blinds in case of any bad weather. 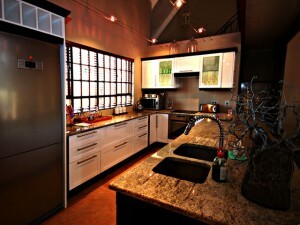 There is also a breakfast bar looking onto the kitchen. 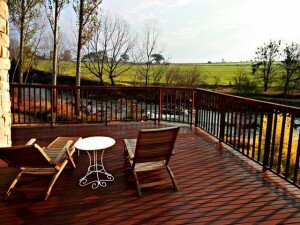 Upstairs there is a large covered deck, with water proof blinds. 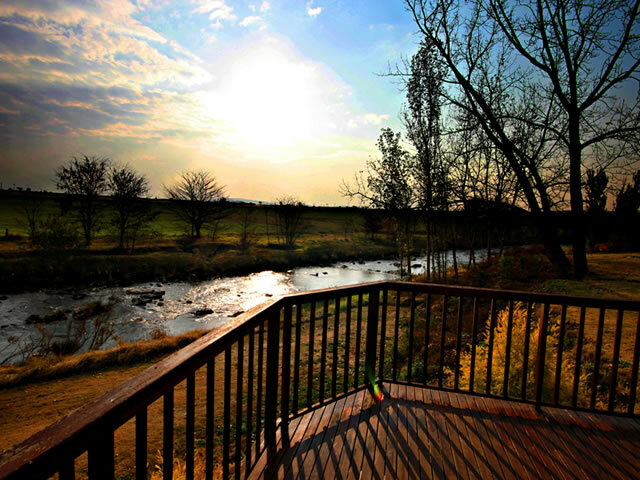 There is an outside Braai area on the river bank under some beautiful Poplar trees for shade (+/- 30meters from cottage). There is a lovely garden and trees surrounding the cottage, with lots of lawn for picnics. 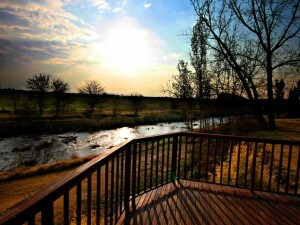 A firepit to the left of the cottage for outside entertainment and beautiful views. 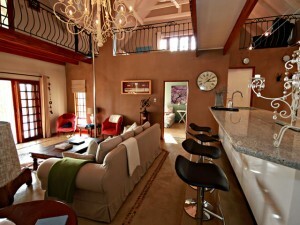 In the open plan lounge there is a TV with full DSTV and DVD player, also a Music Center and ADSL internet connection. Electrical blankets and heaters in all bedrooms.